A little bit of a surprise this week from THQ Nordic as they announced that Legend Of Kay: Anniversary Edition will be released on the Nintendo Switch sometime in 2018. We’re not entirely sure why they’re celebrating it on the 13th anniversary of the game, but we’re not really complaining about getting a new version of it. Below are the details of the release from the company as they take Kaiko’s PS2 action-adventure title and give it a proper cleanup, along with some bonus features added to modernize it with the current console. The trailer they released also shows off the game’s fantastic look as they’ve made sure to keep the original intact but also made it look much better than it did back in 2005. 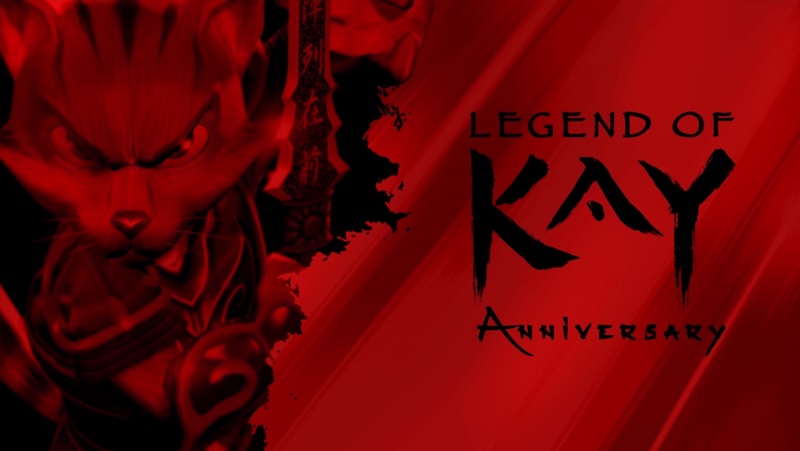 Legend of Kay Anniversary is a thoroughly remastered version of the original game including high-resolution textures, new, more detailed character models, modern rendering techniques and crystal-clear surround sound, giving this great classic a new shine Full of fond allusions to old martial arts films and pop culture quotes, the game is both an incredibly funny game and a challenging action-adventure for young and old alike.